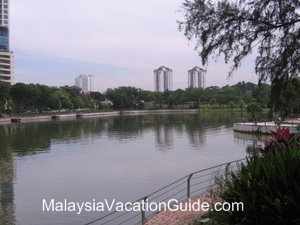 The city of Petaling Jaya is one of the best city to stay in Malaysia. 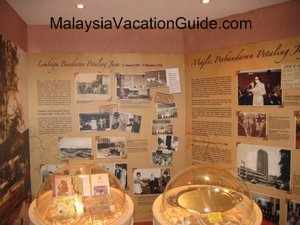 If you would like to know more about the history of this satellite town of Kuala Lumpur, head for PJ Museum in Section 10, Taman Jaya. It is located opposite Amcorp Mall. The museum opened in November 2007 at the building of the former education centre in Taman Jaya. It was closed for refurbishment for about 3 years and is now open to the public since April 2016. Development and expansion of PJ. The write up and artefacts at one of the galleries. The official clothes worn by the Mayor. The history of PJ is traced back to the time where the congestion and rapid development of Kuala Lumpur caused the birth of the first satellite town of Malaysia. A detailed map, a 3-D model of the city and photographs can be seen at this exhibit. The history of the development of PJ administration is shown in detailed here. It evolved from Lembaga Bandaran PJ (LBPJ) to Majlis Perbandaran PJ (MPPJ) and is known as Majlis Bandaraya PJ (MBPJ) since 20 June 2006. The names of the various mayor are also shown here. The multi-media presentation and 3D model of the city. The evolution of the town council logo. It is known as Majlis Bandaraya PJ today. Get to know the development of the various section of this town starting from Old Klang Road rubber plantation. With an area of 97.2 square km, this city is one of the most developed in the country. You will be able to find amenities such as hospitals, shopping complexes, parks, eateries, schools, colleges and hotels here. 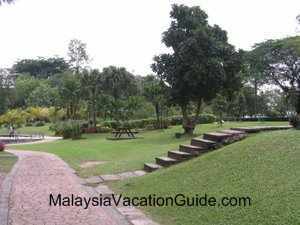 This park is popular with the locals who come here for a time of relaxation. You will be able to see many anglers trying their skill at the lake during the weekends. There are jogging tracks and benches all over the park. Jogging tracks to sweat it out in the morning or the evening. The museum is open daily from 9am to 5pm except Fridays and public holidays. 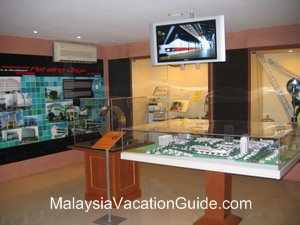 The museum is located at Taman Jaya itself and is directly opposite Amcorp Mall. The easiest way to come here is by taking Kelana Jaya Line LRT and stop at Taman Jaya Station. This park is just opposite the main road.